12. Don’t forget to weigh yourself once a week. Beside considering these tips for gastric sleeve surgery, you should view your sleeve gastrectomy as an opportunity for a new beginning of life. Boost your confidence and sense of well-being with the weight loss experienced, pick up new habits, hobbies and start fresh and fit. It would be nice to take up new fitness challenges to maintain the weight loss. Commit yourself to a new happy and healthy lifestyle and overcoming the bad ones. The benefits of undergoing gastric bypass surgery are numerous. By shrinking the size of your stomach, you will be unable to eat larger meals which removes one of the primary factors of obesity. The partial bypass that occurs in the colon will also improve your ability to digest food. These two factors alone will not only cause you to lose a significant amount of weight but also lower your risk for any number of obesity-related illnesses, such as heart disease, diabetes and bowel cancer. Ultimately, if you are considering the gastric bypass route, it is important to undergo a thorough examination and discussion with your doctor and specialist surgeon before receiving any procedures. If you do choose to undergo the surgery and you experience any negative side effects, once again it is necessary to immediately consult your doctor. These seminars would be held in every four weeks in the last Tuesday of the month. Register now for bariatric surgery seminar or call at (02) 97230550. Why You should attend the bariatric surgery seminar? Morbid obesity is a major risk factor for cardiovascular disease, Type 2 diabetes, some musculoskeletal conditions and some cancers. As the level of excess weight increases, so does the risk of developing these conditions. In addition, being overweight can hamper the ability to control or manage chronic disorders. In this seminar by experts it would help you to know and understand weight loss surgery and how it could help you overcome obesity. The health concerns related to obesity vary in each individual, depending on their Body Mass Index (BMI), lifestyle and various other factors. A majority of these health problems can be handled by maintaining a healthy diet and routine exercise while others may require serious medical attention. Here are a few major health issues pertaining to obesity. Obesity hits almost every part of the body, causing damage to vital body functions in day to day routine and the way of life in the long run. Hence, for an individual, it is important to know how obesity can pose greater health risks while health organizations should shoulder the responsibility of mass awareness about the implications of obesity. Obesity seems to be gripping children and youth much more than ever before. Modern lifestyle changes are primarily responsible for a child to be much more prone to obesity today than they were 30 years back. Now, these extra pounds might not hurt the child in his childhood, but it opens pathways for serious medical disorders like raised blood pressure, cholesterol, raised blood sugar, osteoporosis, sleep apnoea etc. These diseases might occur at a younger age in obese children than in their counterparts. Also, the social distress that obese children face by their peer group makes them vulnerable to behavioral problems and poor mental health arising from low self-esteem. Make your kid more active by making her/him involve in more physical activities as active children become healthier teens and less prone to obesity and leading a healthy long life. It has to be a collective effort from the society. – The school community has to allow more play time with bigger playgrounds. Regular monitoring of Body Mass Index (BMI) in schools and education regarding importance of physical activity and healthy diet should be inculcated in the curriculum. – Parents have to encourage their child to participate in active games like jumping rope, playing tag, developing sports, hobbies, swimming, dancing etc. Sedentary time like TV, mobile and video gaming should be limited. Lifestyle changes brought on in the earlier phases of life, even as early as 2 years, definitely leads to a healthier teenage and youth. Less of ‘junk food’, helping children to make healthy food choices and more of active exercises can save children from the unhealthy complications of obesity in their adulthood, something for which they will always be grateful. Have you ever felt so hungry that you literally eat everything you can get your hands on? Binge eating has been described as compulsive overeating where a large amount of food is consumed while feeling out of control and powerless to stop it. While we may not go to those extremes, at times we all overeat or binge, but what if this becomes a habit? If you have noticed that you’ve been getting into a habit of binge eating lately, it’s important to investigate the causes and look at ways to stop this habit. Over time, a habit of binge eating can lead to weight gain, increase your risk of a number of chronic health conditions as well as lead to a wide variety of physical, emotional, and social problems. Note: If you’ve been binge eating for a long time, notice it’s becoming a huge problem or have what is know as ‘binge eating disorder’ then it’s best to speak to a qualified health professional trained in this area who can work with you to break this habit. While different people binge eat for different reasons, there are some common triggers. Here are 10 tips to help you beat the binge. Once the feeling strikes, binge eating can be hard to control. 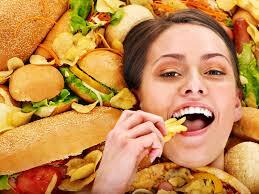 But a little forethought and a plan of attack, can really help stop binge eating in it’s tracks. Obesity has been declared an epidemic in many countries. One school of thought believes that someone falling within between a BMI of 30 and 40 should not be regarded as disabled just because of their obesity. While there is another school, who say that morbidly obese individuals might experience restricted physical functions, which can lead to a tethered and incredibly sedentary way of life, a situation similar to any kind of disability. In Australia too, obesity is a serious health concern with the number of obese children and adults sharply rising. The Discrimination Disability Act(DDA) of Australia is a comprehensive guide on what is a disability and who are covered the disability scope. As far as obesity is concerned, DDA states that since the definition of ‘normal’ body size can vary, it is difficult to determine the level at which obesity can be considered a disability. However, since disability is the loss of functioning of a person’s body or part of the body and if obesity is the key contributor to this loss, then an obese person is entitled to the disability benefits. Depending on the impact of severity of obesity on a person’s life and on a case to case basis, the obesity can be given the disability status. If obesity is claimed as a disability, it would mean that a considerable population of the world could soon be defined as disabled! It may also mean that an individual can be rejected from a job on the grounds of physical appearance, which also includes being obese. It can also worsen working conditions for the fit employees, who may find themselves treated less favorably than the obese employees. In fact, the people who are genuinely disabled, will find new competitors claiming disability funds. Classifying obesity as a disability would increase the significant costs for the health system.